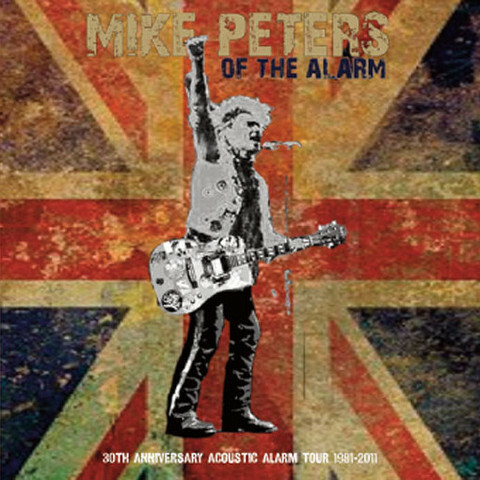 In The Poppy Fields Collected Works brings together every single recording of Mike Peters and The Alarm’s modern masterpiece into one comprehensive 5 disc collection. Every single song of the original work has been remixed, re-focused and reappraised by Mike Peters from the ground up from the original recordings. “The original project was so intense”, says Mike Peters, “and the deadlines so tight in making 5 albums in 5 months, that I have always wanted to go back to every single recording and give them all the individual attention that they deserved. ‘In The Poppy Fields Collected Works’ is like hearing a brand new album as it brings all the work together in one complete package which is how it is best experienced. I’m very proud of each and every second of the listening experience”. In The Poppy Fields Collected Works also comes with a double disc set of the songs as performed live at The Gathering over the course of the project’s original creation timeframe from 2000 – 2004 plus an intensely personal 8000 word essay by Mike Peters and an extensively detailed booklet with many previously unseen photographs. The Edward Henry Street suite of 14 songs can now be seen and heard as a film which was shot and edited by Mike Peters himself along with 9 of the original ‘Fun In The Sun’ documentary recordings (that formed the beginnings of ‘Edward Henry Street’), for the first time ever. The DVD Film disc also includes a never before seen film of The Alarm live at the San Siro Stadium, Milan from June 6th 2002. This multi camera film was the source for the original ‘Close’ promotional video but now you can witness the entire concert in glorious widescreen. The ‘In The Poppy Fields Collected Works’ 5 disc set features some 110 performances and approximately 6 hours of viewing and listening time.